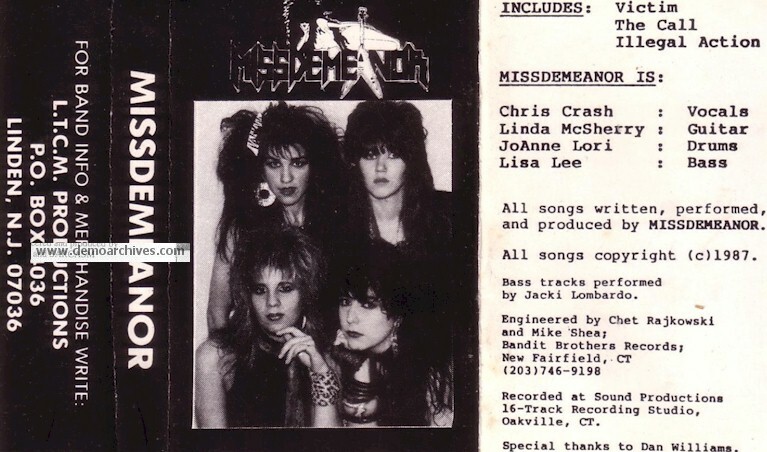 All female speed metal band was first put together by Jacki Lombardo (bass) and Linda McSherry (guitar), however with no name. After various forms and different members, we then found Cathie Coleman (vocals) and JoJo Lori (drums). This was around 1985-86. We began writing original songs. Their first gig as MISSDEMEANOR was at the famous NYC club CBGBs. That was around 1986. 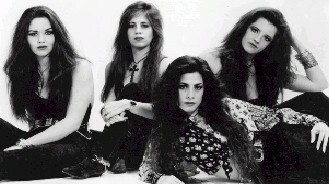 Eventually their music style changed to more a modern hard rock type. A full length was recorded but never released due to money issues with the label.